This initiative reflects the need to rethink the role of organizations such as the International Monetary Fund, the World Bank, and the World Trade Organization, all of which trace their roots back to the immediate post-World War II period. The international economy is dramatically different now with the spread of globalization and the rise of emerging economies particularly China, India, and Brazil. These changes, among others, have led to calls for reform, and even fundamental rethinking, of the role of these institutions. Possible changes include: an increased role for emerging market countries in IMF decision-making; increased regulation of international financial markets; and a diminished role for the WTO as nations embrace regional and bilateral trade agreements and new trade institutions emerge. IIEP already has an established record of research on these issues since its founding in 2007. 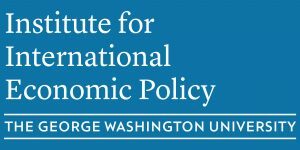 IIEP has partnered with both the IMF and the World Bank for research conferences and its relationship with these and other organizations such as the WTO and Inter-American Development Bank are active and growing. This new initiative will consolidate and strengthen these efforts through academic research, policy forums and full-day conferences.